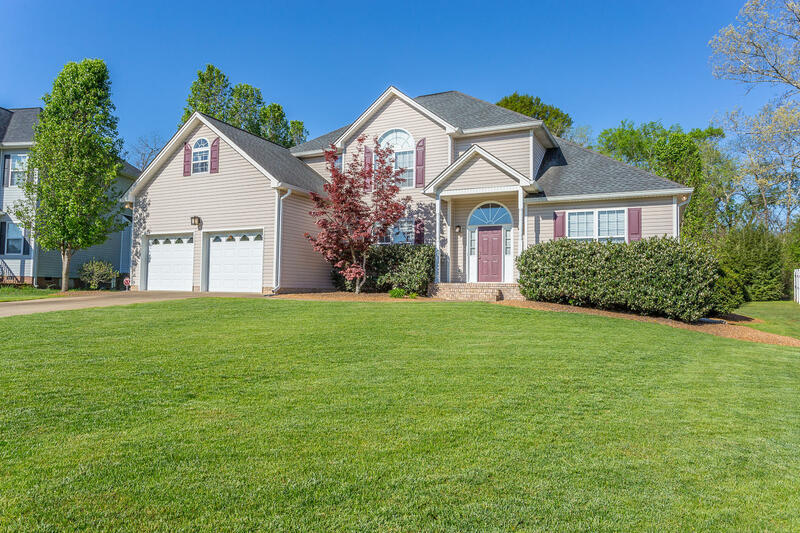 This stunning Ooltewah home with 4 beds + bonus room on a large level lot has been impeccably maintained through the years, and boasts over $25, 000 in recent kitchen and master bath upgrades! Built with families and entertaining in mind, this home's open concept layout features a spacious living room with soaring ceilings, gas logs, and large windows full of natural light. The expansive kitchen has been fully remodeled with custom cabinetry, quartz counter tops, soft close drawers, an expanded kitchen island with eat-in spaces, 3 pantry closets, custom lighting, and a separate breakfast nook. In addition, the home also has a formal dining room with beautiful hardwoods and a trey ceiling. The master suite is privately tucked away on the main level, with a deep master closet and fully remodeled master bath. This bath is the oasis you've been waiting for, boasting a jaw-dropping shower with custom accented tile, dual shower heads, and built-in seating. Also note the dual vanities, marble counter tops, custom cabinetry with soft close drawers, custom lighting, jetted tub, and a water closet. A spacious laundry and mud room with sink, built-ins, and a closet is nestled between the kitchen and garage, as well as a half bath adjacent to the living room. Upstairs are 3 beds, a large bonus room, and a full bath. The guest room boasts vaulted ceilings, large windows, and extra storage space. Outside, the back porch has recently been re-screened with a new ceiling fan, and overlooks an expansive back yard, which backs up to acres of peaceful fields and woods. This small, quiet community dead ends and has low traffic. Sidewalks line both sides of the streets. Zoned for the popular Ooltewah Elementary with easy access to I-75, this home will not last long!